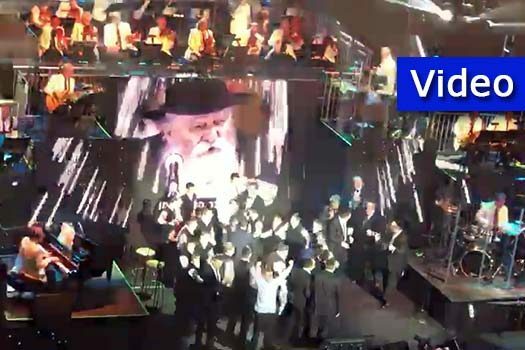 At HASC’s A Time For Music 31 concert at the Lincoln Center in Manhattan, Avraham Fried performed one of his all time favorite classics – Boruch Habah – and the screens lit up with some inspirational images. See the video! 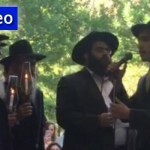 “”When the Alter Rebbe went out of prison, he was inadvertently brought to the dwelling of a ‘Veltlicher Jew,’ where he was delayed for three hours. 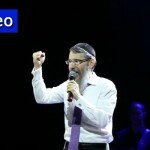 After a lengthy exchange with this Jew, the Alter Rebbe was compelled to promise him that he would debate his philosophy with three Veltlicher Jewish leaders. 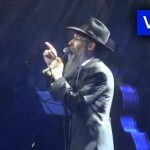 The Alter Rebbe said that of the chossidim of his time, that they will automatically accept the Moshiach no matter who he is or which group he is from. But will we?